I received this book from #kidlitexchange to read in exchange for an honest review. 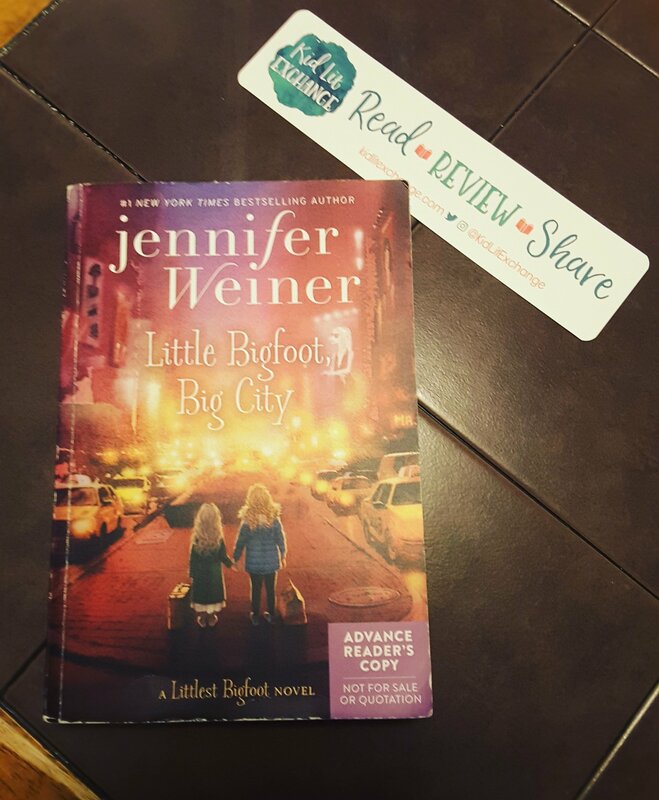 All opinions are my own.🌟🌟🌟🌟🌟 Little Bigfoot, Big City by Jennifer Weiner. This book is part two of the Littlest Bigfoot Series. And having not read the first novel, I still feel I did not miss a beat. This book could stand alone. Alice, Millie, Jessica, Jeremy and Jo are 5 very different children from very different places. Each much battle their past to find their future but they all hold secrets and histories that can not be clearly explained no matter who they tell. The adults they are closest to have even more secrets and refuse to share those as well. Four of the children end up at an audition for The Next Stage, a talent show that airs on nationwide television, and chaos begins to unfold. The children that appear to be normal humans are not but without help none of them will ever be safe. A great fantasy read for kids ages 9 and up. Review also posted on Instagram @jasonnstacie, Library Thing, Goodreads, Amazon, and Go Read. Next Post Tips for book reviewers and reviews!